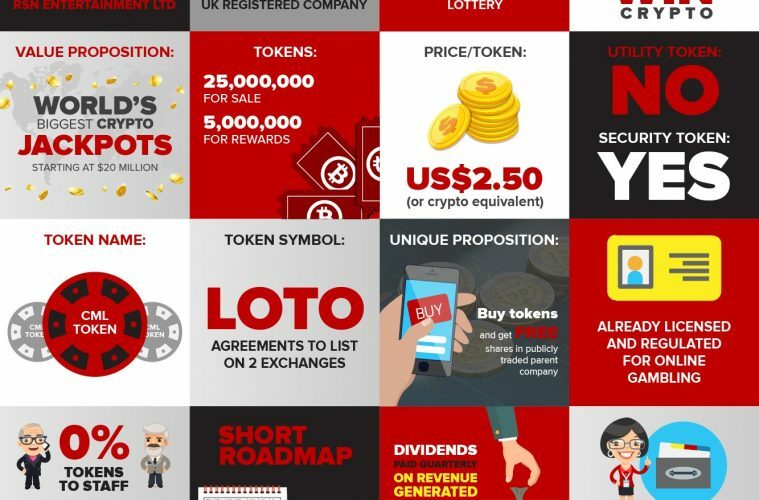 June 20, 2018 – London, UK – CryptoMillionsLotto, a new cryptocurrency lottery offering players the chance to win life-changing jackpots and investors to earn regular dividends as a part of an established lottery business, proudly announces that Simon Cocking and Nick Ayton, two leading crypto heavyweights, have joined its Advisory Board. Nick Ayton is a household name in blockchain and crypto, advising several Family Offices on their crypto investment strategies. He is co-founder of next-generation Token Launch Platform Chainstarter, a crypto exchange for Security tokens, Chainstarter TV and a new crypto gameshow concept. He also acts as an advisor to a Crypto Fund, chairs the world’s largest blockchain events, and writes for CoinTelegraph, CryptoCoins News and other crypto publications. CryptoMillionsLotto is selling 25,000,000 ERC20 Ethereum tokens priced at USD 2.50 to launch. Its crowdsale started on 18th June and extends through to 30th July. Token buyers will also receive free publicly traded shares in its parent company.